How do we hide tab control tabs ? As in logical appearance in vwg. Also I can’t see open filedialog. Is there an alternative. Try the attached test app with the latest build. You may need to run the installer one more time since the enhancement is issue WJ-7462 and it’s still open but the latest build has a new property TabPage.Hidden that does what you have asked. At design time it’s only serialized. At runtime it hides the tab on the client only and causes the active tab to change keeping the hidden tab position and index. this bug was logged as WJ-7461 and is fixed in the latest build (1.2.31). It’s a bug. When you remove a tabPage it should disappear. If you refresh the browser you’ll see the correct view. I will send you a test app after this bug is fixed. I’d like to add a property to hide the TabPage instead of removing it. Maybe we can expose the Visible property and use that one. This option is not available in wisej. So even when adding/removing tabs you will always have the tab header on show as in the screenshot. What would be good for me (from a purely selfish point of view !) is to add this option to wisej. Please send me a screenshot, I’d like to make sure I understand what the requirement is. Re – Tabs – Even if you remove all the tabs and leave one. You are still left with One tab header. Yes we can work with this but there are many times when we do not want to see the tab header. Looking forward to the other updates. The FileDialog will support multiple customizable roots. You can show to your users a root folder on S3 and a root folder on OneDriver, for example. The Wisej.Core.IFileSystemProvider is public and anyone will be able to add more providers. Tabs cannot be hidden, they can be removed or disabled. 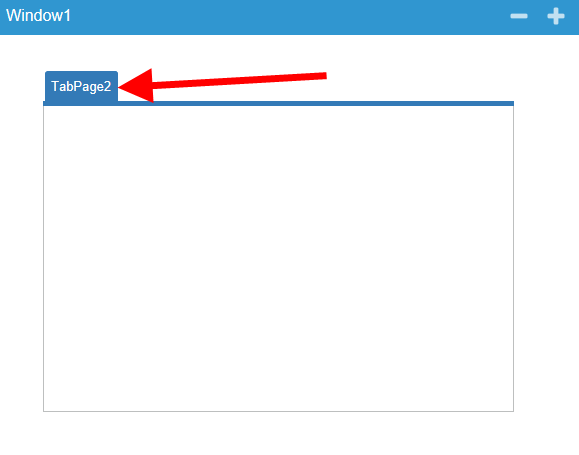 The Visible property (hidden) for the TabPage refers to the page being selected and the panel being visible. It’s the same in Winforms and should be the same in VWG. I have to see if we can add either a new property or a method but I’m not sure about it since it’s pretty standard behavior to remove and re-add a tab when hiding it or showing.